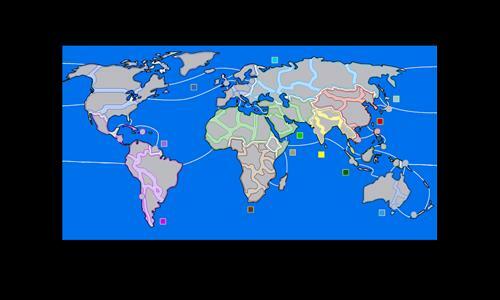 Based on Huntington's map of civilizations. Review by Olorin on 4/16/2012. Map is much better than it looks. The balance at first seemed very difficult as obtaining one of the larger bonuses is problematic it seems obtaining a smaller bonus and battling for it is the best first strategy. Review by Captain Carrot on 3/6/2013. Good map. Connecting countries are difficult to see though. Review by biting zebra on 5/8/2013. Review by Andalorium on 4/16/2012.